Can We Trust the FBI to Preserve the Proof of the Obama Team’s Crimes? 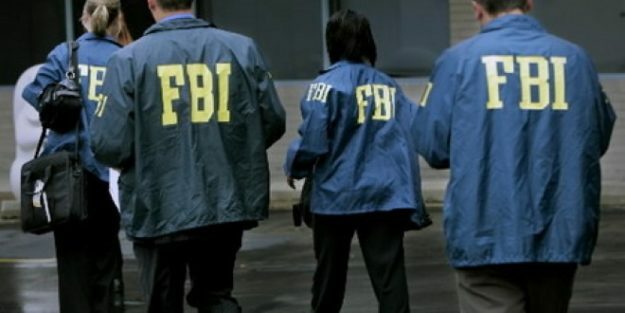 While appearing as a guest on Fox News SUNDAY conservative radio host Laura Ingraham reminded the nation that one of the top agents in the FBI is suspect due to his connection to the Clinton’s and Hillary Clinton’s campaign. She called for transparency at the FBI and for someone to hold them accountable to make sure that the evidence of the Obama team’s crimes didn’t just up and disappear. CHRIS WALLACE: Laura, the president and his team dug in deeper this week on this whole Russia scandal and their argument now is that the Obama administration surveilled the Trump team and then spread that classified information for political purposes. Is this helping or hurting the white house? LAURA INGRAHAM: If they know that as long as this investigation goes on, the harder it is for them to push on a number of fronts their domestic agenda, foreign policy. I think a lot of folks do believe that the Russia focus is meant in part to delegitimize the presidency of Donald Trump. If one Sean Spicer makes that point, I think he’s right. If he –Sen. Grassley– he sent a letter a few days ago. You don’t want to tangle with with. He sent a letter to the FBI about Andrew McCabe, the number two co-person at the FBI. Andrew McCabe’s wife received $700,000 in political contributions arranged and facilitated by none other than Clinton friend Terry McAuliffe. His concern is that all documents better be preserved and all communications better be turned over about what McCabe knew and when he knew it about the unmasking of individuals who were surveilled during the Trump transition or during the Trump campaign. If it turns out at the end of all of this that the FBI and our intelligence agency have turned into a partisan political operations with agendas, then Republicans and Democrats should be very concerned. If it all turns out this is just a routine investigation, the Trump administration will have the egg on its face. I have a feeling that we will find out a lot more about who was involved in the unmasking and who had an agenda. Protests Won’t Stop Trump So Liberals Resort to Magic Spells!Democrats Always Want To Get to the Bottom of Things?